The RAN Australian Hydrographic Service has responsibility for charting more than one eighth of the world's surface, stretching as far west as Cocos Island in the Indian Ocean, east to the Solomon Islands, and from the Equator to the Antarctic. The Leeuwin Class Hydrographic Survey ships were multi-crewed, with three crews rotating through the two ships (HMA Ships Leeuwin and Melville) from the year 2000 until October 2018, when they switched to single crews with HS Red taking over onboard HMAS Leeuwin and HS Blue taking over onboard HMAS Melville. 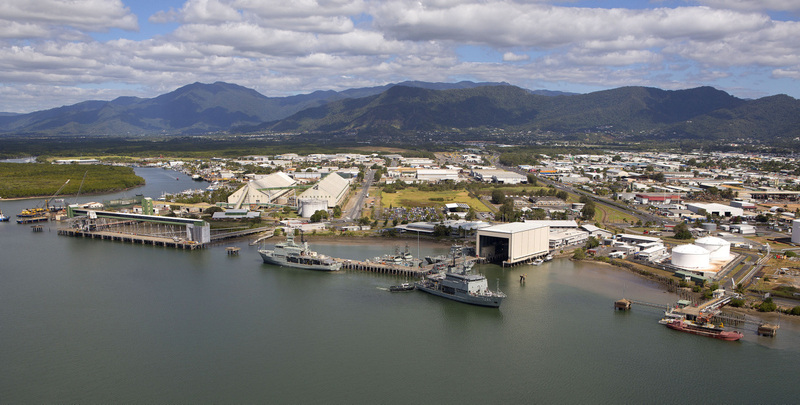 HMA Ships Melville (left) and Leeuwin (right) at HMAS Cairns naval base.